His first breeding confirmed pregnant! EZ's follicle density results 73.3/mm with a S/P ratio of 9.8:1, THE DENSIST LIGHT SILVER GRAY EVER TESTED BY IAN WATT! EZ was purchased by our son Sam when he was 7 months old. I would say Sam has VERY good taste! 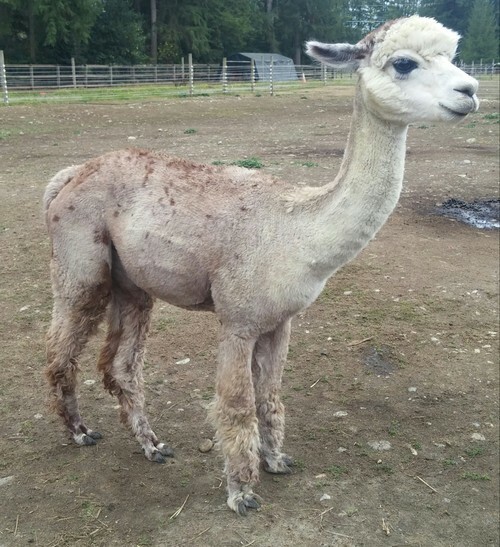 EZ's fleece is tight bundles of curls in a light silver hue. No matter where you open his fleece up, you will be amazed with the consistency of style, color and hand! This boy just keeps getting better and better! Bella is a beautiful "pink" rose grey girl with excellent conformation and a sweet disposition. 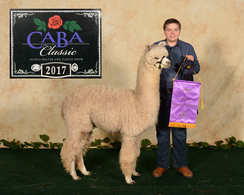 We are thrilled that Bella has been confirmed pregnant. 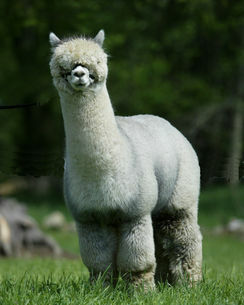 Her cria should be absolutely stunning! 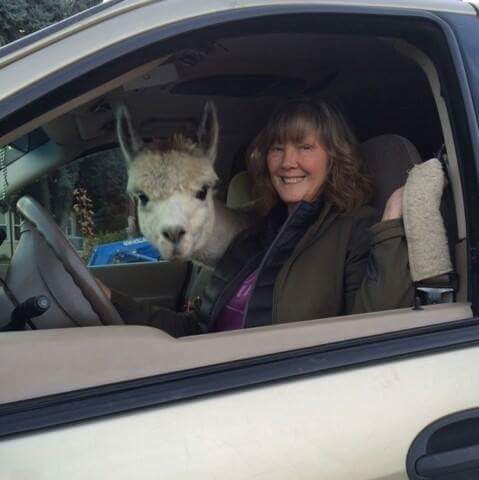 We want to help make alpaca ownership available to all who wish to participate. We can help our clients with customized payment plans that make it possible to afford to begin or add to their herd.